Although botulism is a rare illness, most parents have heard of it and know that it is often related to eating contaminated food. Botulism can be a very serious disease that can cause abnormal functioning of the nerves, leading to weakness and paralysis. Botulism is caused by poisons (toxins) produced by spore-forming bacteria called Clostridium botulinum. Food-borne botulism arises when food becomes contaminated with C botulinum spores and then is stored improperly. Improper storage allows the bacteria to grow and make toxins. Outbreaks of this type of botulism have occurred by eating not only home-canned foods, but also restaurant-prepared foods such as patty melts, aluminum foil–wrapped baked potatoes, and bottled garlic. Another form of botulism, so-called wound botulism, can develop when tissues in a child’s wound becomes contaminated with C botulinum spores. In certain conditions, the spores can grow within the wound and produce toxins, which then enter the blood stream. Infant botulism occurs mostly in babies younger than 6 months. It develops when C botulinum spores are eaten by a baby and the bacteria grow in his intestines, making toxins within the gut. The source of the spores is usually unclear. They may be present in soil or dust and then become airborne where they are breathed in and swallowed by the child. Honey is another potential source of the disease-causing spores, however honey should be avoided in children under 12 months of age. 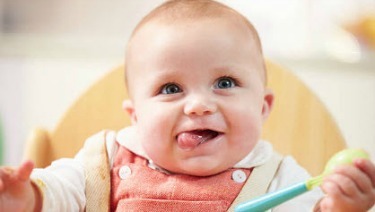 The American Academy of Pediatrics (AAP) recommends that you do not give honey to a baby younger than 12 months. Honey is safe for children 1 year and older. Boil foods for 10 minutes, which can destroy toxins. Do not feed your child any foods that appear to be spoiled. Discard any food containers that are bulging. They may contain gas produced by C botulinum. There is no vaccine available to prevent botulism. In patients for whom botulism is a food-borne infection, it may progress rapidly. It often begins with feelings of weakness and loss of muscle tone that spread through the body. The toxin can cause paralysis of the trunk, arms, legs, and respiratory system. In these food-borne infections, symptoms start soon after the contaminated food is eaten—typically within 12 to 48 hours. The typical incubation period for infant botulism can range from 3 to 30 days after exposure to the spores. A child’s symptoms will help your pediatrician diagnose botulism. The diagnosis can be confirmed most often by finding toxin in a youngster’s stool, stomach contents, or the foods he has eaten. To diagnose wound botulism, tissue specimens may be examined in the laboratory. Much of the treatment for botulism is supportive. Almost all children will need to be hospitalized. Children should be kept well nourished, their airway should be kept clear, and they need to be watched carefully for breathing problems. In special circumstances, your pediatrician may be able to give your child an intravenous antitoxin that blocks the activity of the toxin in his bloodstream. This can help ease symptoms when given early in the infectious process. Antibacterials are not helpful in treating most cases of botulism, although they may be used in the management of wound botulism. Antibacterials generally should not be used in cases of infant botulism. Seriously ill children may need help breathing, using a mechanical ventilator, and eating, using feeding tubes or intravenous feeding. Most children recover fully from botulism, although it can take several weeks to months. In cases in which the condition is untreated, the symptoms of food-borne botulism sometimes progress to a stage in which the breathing muscles become paralyzed, causing death from respiratory failure.